Riverstone, where natural beauty meets classic style. Riverstone is situated in the SE community of Cranston and offers the perfect blend of urban convenience and natural beauty. Riverstone promises to be an outstanding neighbourhood where you can feel connected. With ZEN you’ll discover a perfect balance of style, function and performance with our innovative 1, 2 and 3 bedroom townhomes. 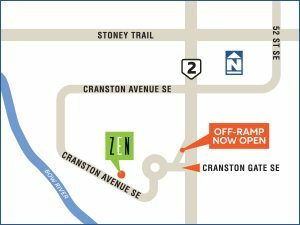 The ZEN Riverstone presentation centre is now open at 1083 Cranston Avenue SE Register today to be kept in the loop on updates including news, events and promotions.